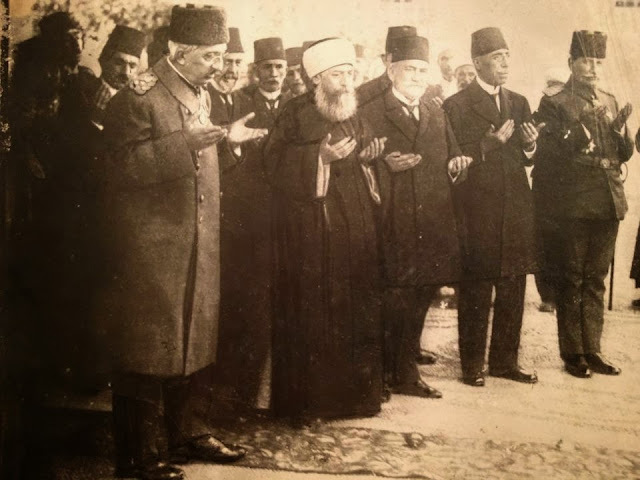 This is the last Ottoman sultan and his grand vizier praying before they flee their country. They take their time to pray. Love it or hate it, this is a historic picture. When you have a high resolution version of this picture, we want it badly. Your picture will be restored as much as possible. Sadly, this picture has too low a resolution.